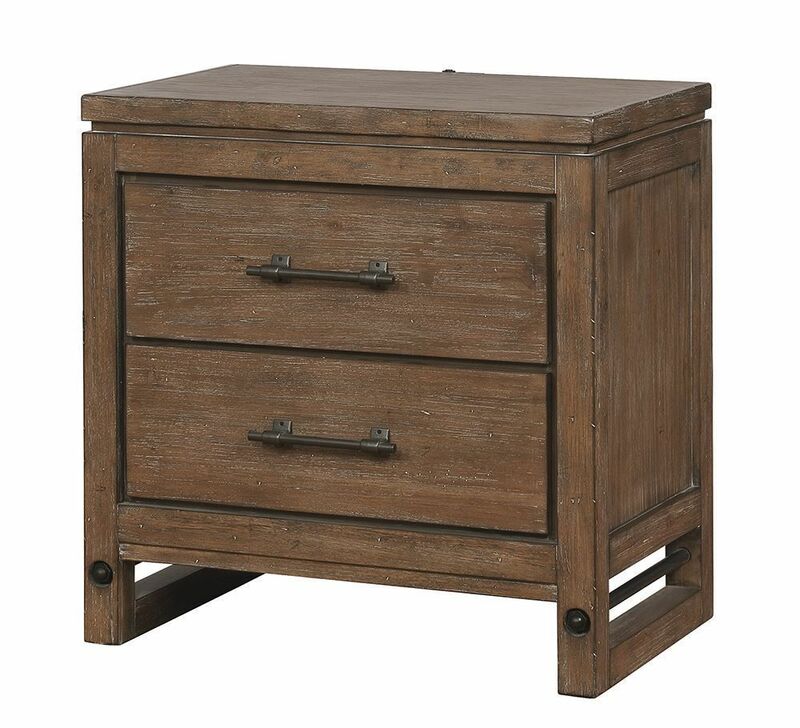 The Round Rock Nightstand exudes a timeless, farmhouse look you'll love living with for years to come. 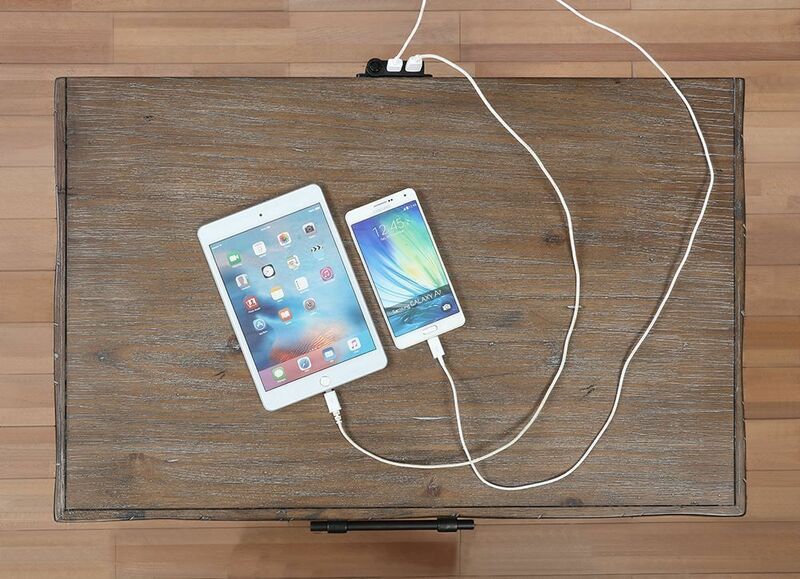 Two spacious drawers offer ample storage for all of your bedside necessities, while the built-in double USB ports make charging your devices a breeze. Enjoy the ease of the ball bearing side glides that make for effortless and quiet operation. 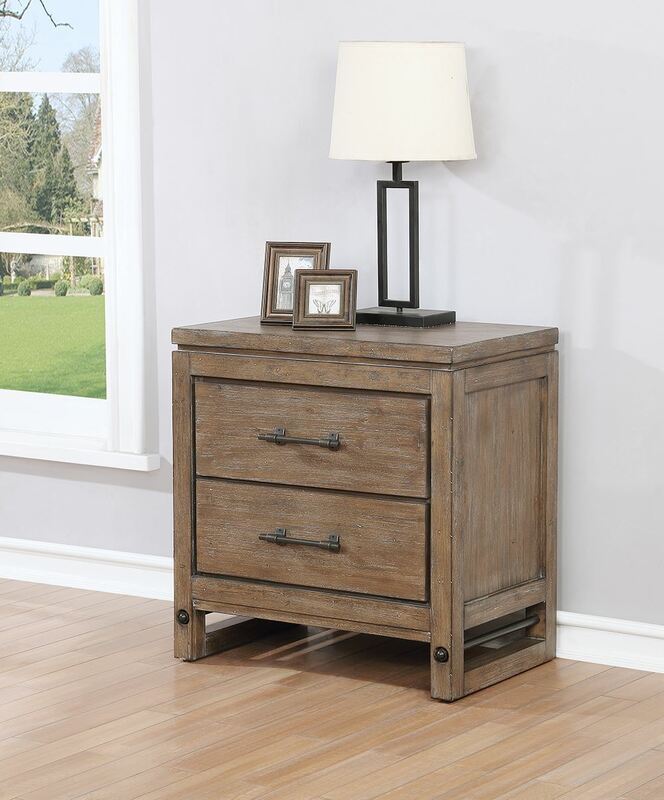 The Round Rock Nightstand exudes a timeless, farmhouse look you'll love living with for years to come.